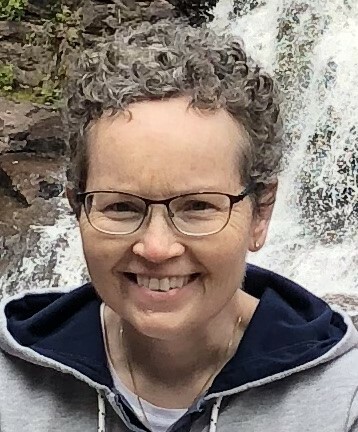 Kathy Ann Long, age 58 of Andover, passed away peacefully at home on Sunday, February 3, 2019. Kathy was born in Amery, WI in 1960 and lived in Clear Lake, WI until age 8. She relocated with her family to Wyoming, MN in 1969. Kathy graduated from Forest Lake High School in 1978 and from St. Cloud State University in 1982 with a BA in English. She was united in marriage to James Long on July 14, 1984, and they welcomed their son, Jackson, into the world in 1990. Kathy relished being a stay-at-home mom, but also worked at Joann Fabrics from 1982-1986 and did some teaching in 1987-88. Kathy’s great love of cooking and gardening led her to organizing 10 cookbooks, listing her favorite recipes. She also enjoyed knitting, other craft work, and volunteering at church; she especially loved leading Bible study classes (which she worked on for 20 years), working in the bookstore, and writing her weekly “Pick of the Week” articles for the church bulletin for 7 years. Kathy was a lifelong, diehard Packer fan but also a big Twins fan. She described a perfect day as a day when the Packers won and the Vikings lost! Kathy enjoyed traveling at home and abroad, with a special love for the North Shore area, where she frequently camped and hiked. In 2011, Kathy was diagnosed with multiple myeloma and received stem cell transplants in 2012 and 2017. Despite her long struggle with cancer and eventually developing severe neuropathy from the treatments, Kathy remained a woman of faith and hope. She transitioned into hospice in December 2018, and was able to end her mortal life on the terms she wanted: at home, peacefully, and surrounded in her last week by family and friends. Kathy was preceded in death by her father, Russell Roberts. She is survived by her loving husband of 34 years, James Long; son, Jackson Long; mother, Lorraine Roberts; brothers, James (Barb) Roberts and Mark (Cecilia) Roberts; sisters, Mary (John) Mikes and Patty (Erik) Johanson; also many nieces, nephews, relatives, and friends. Funeral Thursday, February 7, 2019 at 11:00 a.m.